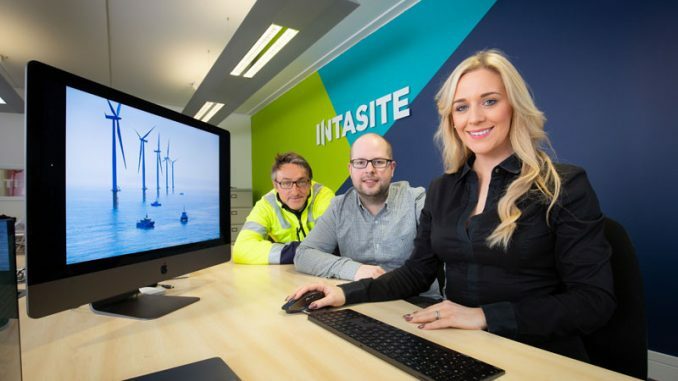 The company responsible for keeping the lights on across Teesside and beyond is calling on industry colleagues from across energy and construction to support the development of Tees start-up Pollywood to help it deliver significant environmental benefits in new markets across the globe. Distribution network operator Northern Powergrid is championing Pollywood’s new sustainable, ultra-strong wood pole manufacturing technique that reduces material use by up to 85%. Pollywood has developed a new super-strong construction material that has a better weight to strength ratio than steel, using a fraction of the raw materials. The innovation will see manufacturing jobs returning to Teesside, as the inventors look to grow the business with British talent. Ten to 12 jobs will be created in the next phase with hundreds created when the business moves into full scale production. As a completely new manufacturing technique, Pollywood has untapped potential. 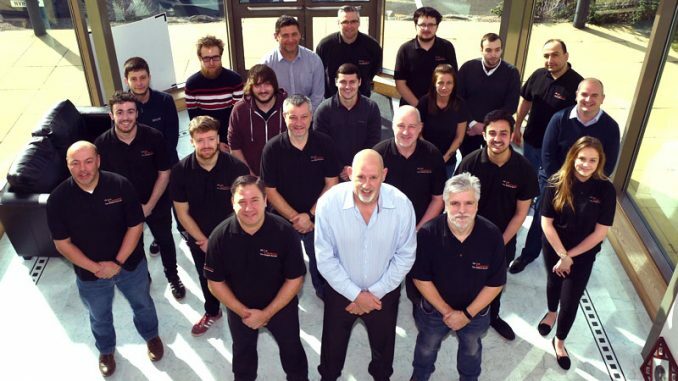 The Pollywood team plan to bring valuable employment to Teesside. Pollywood chairman Quentin Kopp commented: “Around Teesside we have seen a decline in good quality employment opportunities. Pollywood is the brainchild of Steve Crighton. His ‘lightbulb moment’ came in 2011 when he saw an expensive and wasteful fibreglass traffic light pole at a roundabout on the A19, a road that skims the North Yorkshire moors. He thought he could use his 50 years’ experience in the wood industry to make a much more efficient and environmentally sound product. Pollywood is made using a new manufacturing method, which enables the production of any length required of a lightweight, super strong hollow product capable of replacing previously solid structures. A staggering 60,000 new wooden electricity poles are needed in the UK every year, with a further 50,000 in the telecoms industry. The current poles can also take up to 18 months to source and deliver, because exactly the right kind of Pine tree has to be sourced. In addition, these trees must be treated with creosote, a carcinogenic substance being phased out across the EU. In addition, a move from DNOs storing poles on numerous sites to a ‘manufactured to order’ process would improve efficiency and release additional storage capacity. In response to these challenges, Pollywood invented a new manufacturing method that can create between six to seven hollow Pollywood poles from one tree and requires no coating substances. The prototype tubular poles are made by sustainably combining the raw materials to make a long lasting, lightweight and cost-effective product made from wood fibre and natural bio-based resins. All the materials are natural and procured from renewable sources. Initial tests have established that the material will exceed the current industry standard for electricity poles. Traditionally, one tree can only create one pole and so Pollywood has the potential to save more than 90,000 trees a year. The reduction of the raw material needed by up to 85% will also see a similar reduction in fuel needed to ship the materials from mainland Europe. Lead times for the poles will also reduce. 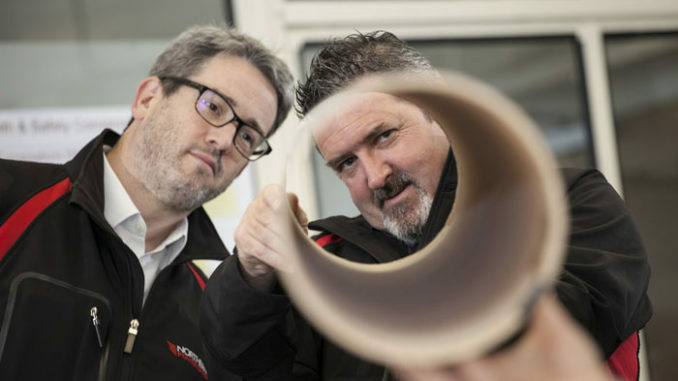 Currently it can take 18 months to source and prepare a pole, but Pollywood will be able to manufacture ready-to-use poles in just seven days. 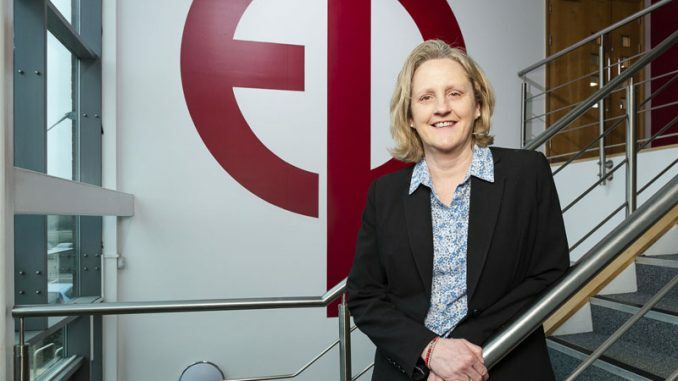 Northern Powergrid’s support and £106,000 investment via the EIC progressed this project from initial conception to prototype stage over the past 24 months. To date it has successfully proved its feasibility with a 1.5-metre prototype. 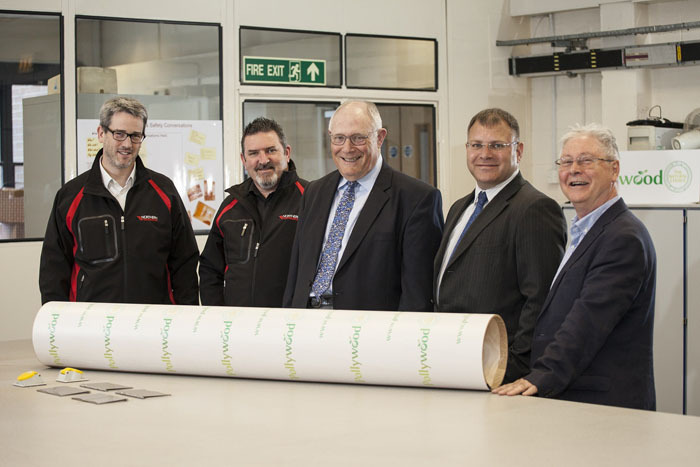 A further £1.4m investment is now needed so Pollywood can develop new machinery capable of creating larger structures and progress to progress from the prototype stage, when it will become ready for market roll-out.